Some of you may know that one of the best things I finally got around to doing after our move here was to join our local "Meetup" group. OK most expat wives seem to do this within days or what seems like hours of landing in their new expat life, but for me it took a full six months! Thanks to this I have made many new acquaintances and some really good friends - you know who you are!! At least twice a week I will go and explore with "the ladies" which puts a different slant on my solo exploring. Today after much badgering we had arranged a meetup at Changi Museum, literally only a few miles from home but for some reason I had never made it here, strange as its somewhere both hubby and I were very keen to see. The museum is dedicated to all those affected during World War II, it was opened on 15th Feb 2011 on the 59th anniversary of Singapore's fall to the Japanese. 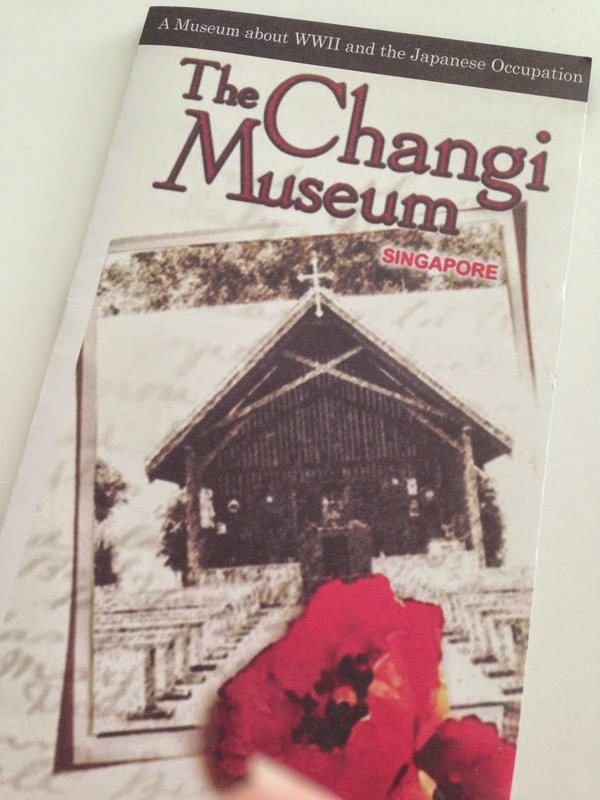 It tells the story of Changi village from a small village to internment camp with personal memories and items from the internees and local inhabitants. 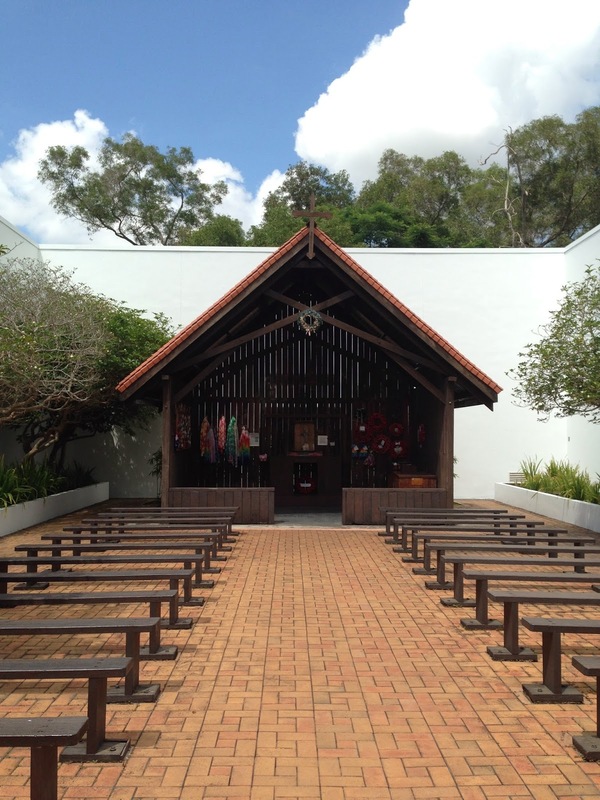 Outside the museum is a replica of Changi Chapel which many visitors migrate towards to remember their loved ones and for the ever decreasing veterans a place to revisit their past. This is such an emotional place that I will need to go back and fully read more at another time. To not only read the notes of the museum itself, but to see and read the real stories and heartfelt messages on scraps of paper, or pages pulled out of diaries from the visitors of the museum. Not only in remembrance of those lost in the war but small personal stories from families who had loved ones who either perished or survived. It was really emotionally draining and that's why I need to make a return visit to really do this place a justice. 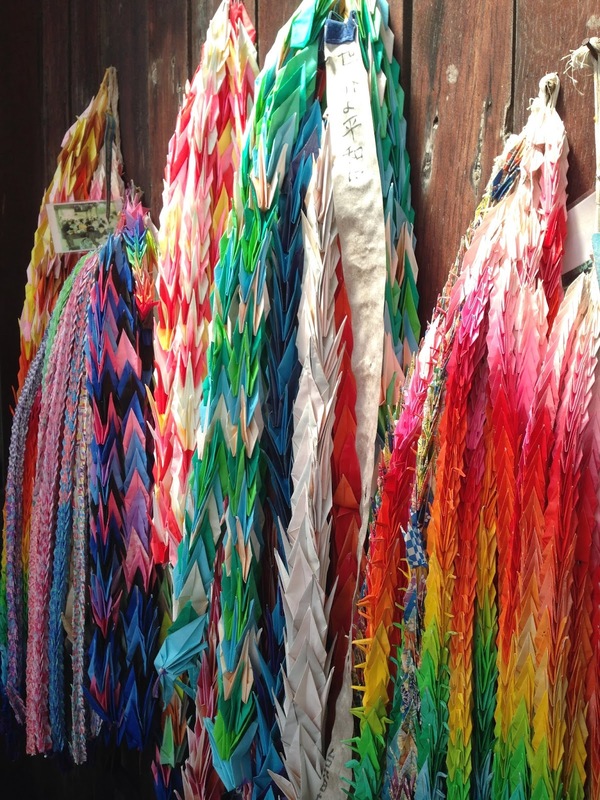 Some of the many thousand Paper cranes or Tsuru a symbol of world peace. 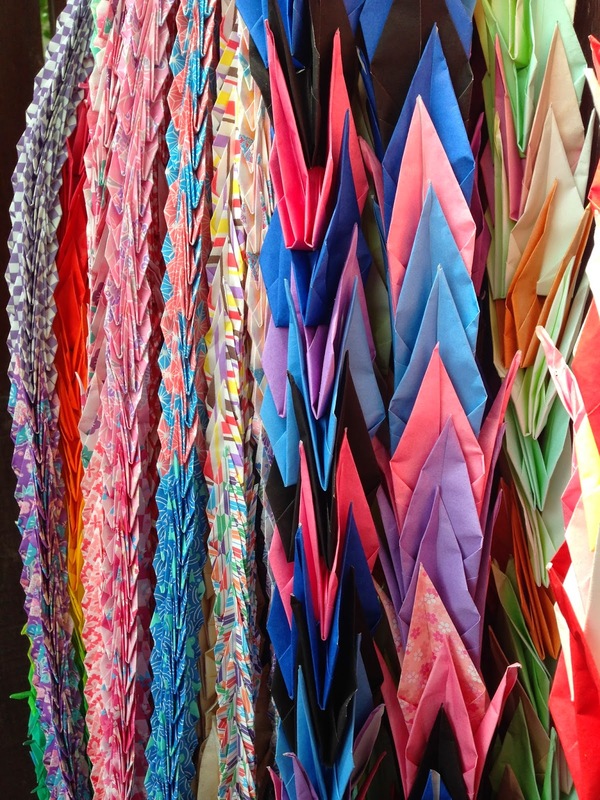 A notice in the museum and at the chapel explain that they first came about from a Japanese legend that tells that whoever makes a thousand of these cranes will have their wish come true. In 1955 a leukaemia sufferer Sadako Saski in Japan, who was exposed to the atomic bombs radiation at Hiroshima, started making 1000 to cure her leukaemia but after seeing the suffering of other children in the ward she changed her wish to that of world peace and an end to suffering. She sadly died before completing her 1000 but the other children finished the task and its since become a symbol of world peace. I need to find out how to fold one of these. Such amazing colours. The Museum is free admission and opens 09:30 - 17:00.